Thursday, Oct 11, 2018, 12:30 – 1:20 p.m.
Dr. Quinn’s research focuses on occupational health and environmental sustainability in the healthcare industry. She is the Director of the Safe Home Care Project, funded by NIOSH, to protect and promote the health and safety of home care workers, an essential workforce to care for our rapidly aging population. 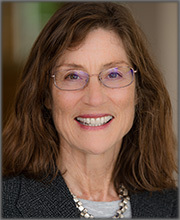 Dr. Quinn is the 2018 recipient of the American Industrial Hygiene Association (AIHA) Alice Hamilton Award, presented to an outstanding woman who has made lasting contributions to the field of occupational and environmental hygiene.